In yesterday’s edition of The Sun, it’s claimed Kenny Jackett is looking to bring the Plymouth defender to Fratton Park this summer. 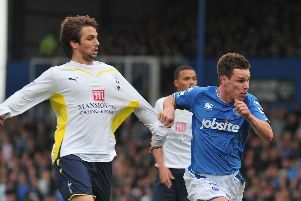 Edwards’ contract at Home Park expires at the end of the season, meaning he’d be a free agent. The 25-year-old came through the ranks at Blackburn Rovers and spent time out on loan at Rochdale, Fleetwood, Chesterfield and Tranmere. His final spell away from Ewood Park was at Morecambe in 2014, before making his move permanent the following summer. Edwards joined Argyle in 2017 and bravely battled testicular cancer after being diagnosed midway through last campaign. This season, the Liverpool-born defender has featured 33 times for Derek Adams’ side in all competitions, scoring five goals.